A speech delivered for Blount County Right to Life, January 12, 2016. Watch or read text below. Late one evening, at the U.S. Naval Base in Guantanamo Bay, Cuba, two Marines, Private First Class Louden Downey and Lance Corporal Harold Dawson are arrested for assaulting and killing a fellow Marine of their unit, PFC William Santiago (http://m.imdb.com/title/tt0104257/synopsis). Sticking with this story for a moment, let’s go back to when Willie wasn’t a Marine. Let’s assume at one time, quite obviously, he was a 5 year old boy. Who was supposed to fight for Willie then? And why stop at 5, right? How about 3? And if you think a 3 year old can fight for himself, just ask any parent. And what about a 9 month old? And what if we’re talking 9 months in utero, that is, not yet born? You need not be a lawyer, a doctor, or a pastor to see that if there weren’t someone to stand up for William Santiago in the womb, there would not have been a Willie to stand up for as a 20 year old. Or in the above case, fail to stand up. You, likewise, don’t need to be a Marine or have a badge on your sleeve to live by a code of conduct. —“Love your neighbor as yourself,” said our Lord Jesus (Matt. 19:19; c.f. Rom. 13:9, Gal. 5:14; James 2:8). —“Love is the fulfillment of the law,” said St. Paul (Rom 13:10). —“You shall not murder,” said Moses (Exodus 20). —“Do unto others as you have them do unto you,” said Jesus (Matthew 7:12). “Open your mouth,” says the Lord. Another translation says it like this: “Speak up for those who cannot speak for themselves….” It’s almost as if Aaron Sorkin lifted that verse from the Bible. According to the Scriptures, we are supposed to speak up for those who cannot speak for themselves and are destined for death. We are supposed to defend the defenseless. Abortion anyone? What the Bible says here is not just to those who would have abortions, or to those who’ve already had abortions. It speaks to us, the hearers of God’s Word, who are directed to stand up for lives destined to be aborted. Just as the disciples of our Lord were compelled by the truth of that which they were eyewitnesses: namely, the cross, death, and resurrection of Jesus, so we are compelled by the truth, born in us by the Holy Spirit, of what we believe and have seen…and even nature itself bears witness: all life, created by God, is sacred. All of it. Another way of saying this is: “the sanctity of human life”—something the world, which tends to see things too myopically, wants to keep in realm of the biological, the constitutional, perhaps on the cutting edge of the philosophical—but avoiding the theological. Why? Is there no room for the voice of believers in this world, especially in matters of life and death? When told in one way or another, you cannot speak these things in the public square, our answer should be the same as a few good men who followed our Lord Jesus after his ascension into heaven. “We cannot but speak up,” said the Apostles. And if we don’t speak up for what is right, what we believe, who will? What we speak saves lives. The Apostles’ silence would have meant the great truth of salvation by grace through faith in the Messiah would not have been known. For us, our pressing concern is the loss of human beings to know a mother’s love, a father’s instruction, to experience the yearly cake celebrating one’s birth (even if it has to be gluten-free for goodness sake), or light a candle in remembrance of one’s Baptism, to learn and live in the Communion of the Saints, serving Christ and others here in time and there in eternity, to know what it means to be forgiven by God’s riches at Christ’s expense, to fight the good fight of faith, and to sing Hallelujah! 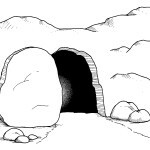 at the good news of the Open Tomb. Our Christian vocation, our calling, spans both the family and political realms. There are opportunities in our homes to speak up, passing on what we value, the sanctity of human life to our children, teaching them that life is precious from womb to tomb. That needs to be there apart from what our country’s laws allow or disallow. In the political realm, there are yearly marches and demonstrations in which to participate and legislation to learn about and act upon which doesn’t solve the problem, but helps protects babies and the unborn. There are social media networks at your fingertips, perhaps as the only pulpit for the voice of God and Life in this world that some will ever encounter. There are great places to volunteer and lend your aid. Above all, there’s a God who will listen to your prayer to help you stand up, speak up, and fight for those who cannot fight for themselves. We pray for the great message of forgiveness for everyone to be heard and believed and lives changed because of it. We remember well that it’s not those who are well who need a Physician, but those who are broken and some who are forlorn to the depths of Sheol because of what they’ve done. There is forgiveness in Christ. Wholeness once again. May all the living come to hear and trust in Christ’s merciful love—God’s love revealed for a culture confused by matters of life and death. How can we stand by silent, or sit by idly, when our Lord has given us light and life, a fighting chance for ourselves, and a chance to fight for those who cannot speak and are destined to death? Our Lord Jesus died that they might live. Or maybe, just maybe, we can’t handle the truth? 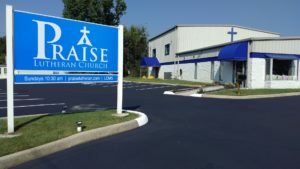 Derek Roberts serves as pastor of Praise Lutheran Church in Maryville, Tennessee, a member congregation of The Mid-South District of The Lutheran Church—Missouri Synod.